Trio offers an exotic fusion of precious metal finishes. Rose and yellow gold highlights attune perfectly with sterling silver and diamonds to deliver a truly exquisite suite. 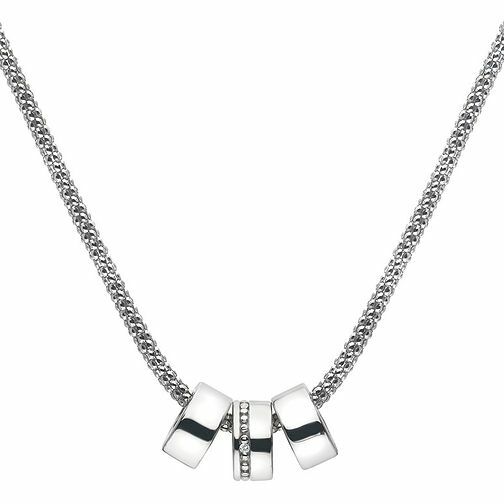 Each pendant piece is crafted from 925 sterling silver, one of which is adorned with a one point diamond. Included with a 45cm popcorn chain to finish the look.